This gorgeous Egyptian Small King Tut - Collectible Figurine Statue Figure Egypt has the finest details and highest quality you will find anywhere. The Egyptian Small King Tut - Collectible Figurine Statue Figure Egypt is truly remarkable. Product is crafted with: Resin. ITEM SKU: SS-Y-5099. This gorgeous Sm. 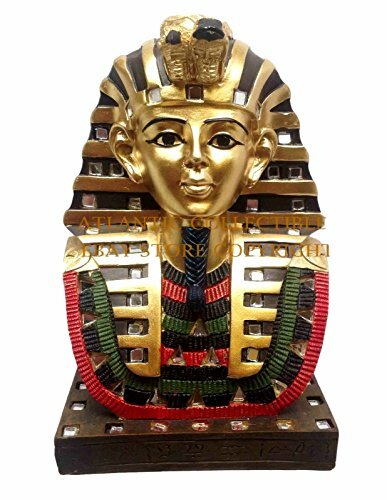 King Tut Coffin with Mummy - Collectible Figurine Statue Sculpture has the finest details and highest quality you will find anywhere. The Sm. 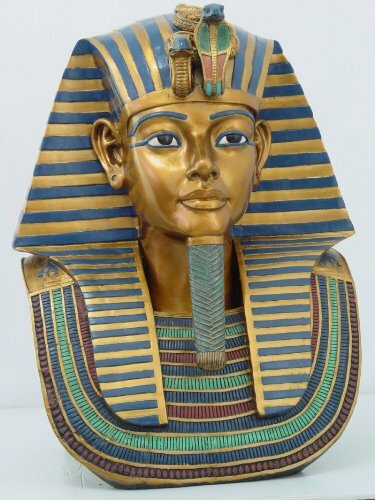 King Tut Coffin with Mummy - Collectible Figurine Statue Sculpture is truly remarkable. Product is crafted with: Resin. ITEM SKU: SS-Y-6184. This is the perfect gift for anyone that needs protection from the Archangels! 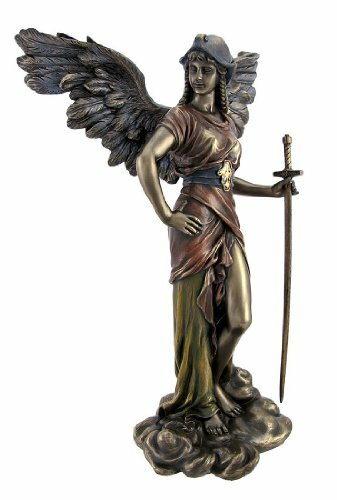 The beautifully handcrafted Archangel Saint Gabriel comes with hand-painted color detail over a bronze-like patina. This Archangel is the angel of Mercy, and is the messenger for God. St Gabriel inspires all who create, artists, communicators. The prayer to Archangel St Gabriel: Beloved Gabriel, Glorious Messenger of the Court of Heaven and most excellent Saint and Archangel, first minister of God, interpreter for Daniel the Prophet, instructor of Zachary the Priest, annunciator to our Holy Mother Mary, bringer of the word of truth: Please favor my devotions and help me to love and serve you, and, through you, to love and serve the Lord. O Gabriel Archangel, grant me what I most earnestly desire and humbly ask for with this prayer, for the honor, glory, and fulfillment of my soul. Amen. 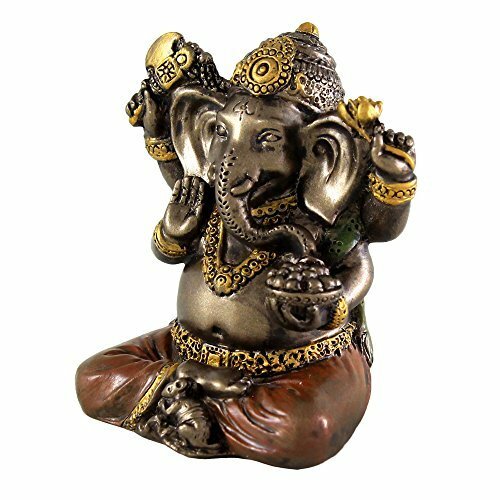 Top Collection Mini 2" Ganesh Hindu Elephant God of Success. Good Protection. Bronze Powder Mixed with Resin - Bronze Finish with Color Accents. Measuring 2 inches tall, this mini Hindu lord Ganesha is superbly detailed, very intricate for its size. 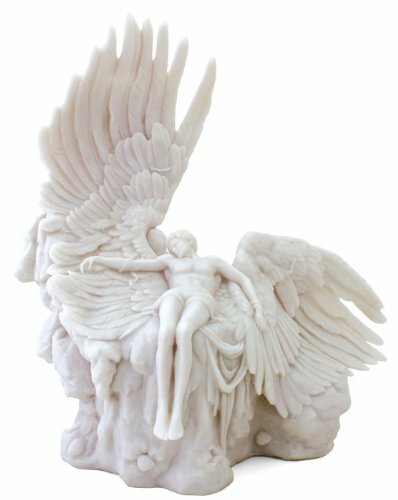 This little figurine is great on your desk, altar, or as a gift for any occasion. Ganesha is the beloved Hindu god whose protection will grant success, prosperity and overall good fortune as he removes obstacles in your life. 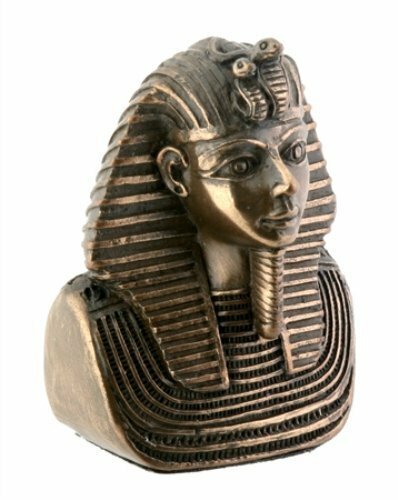 This gorgeous 9" King Tut - Collectible Figurine Statue Sculpture Figure Egypt has the finest details and highest quality you will find anywhere. The 9" King Tut - Collectible Figurine Statue Sculpture Figure Egypt is truly remarkable. Product is crafted with: Resin. ITEM SKU: SS-Y-7290. 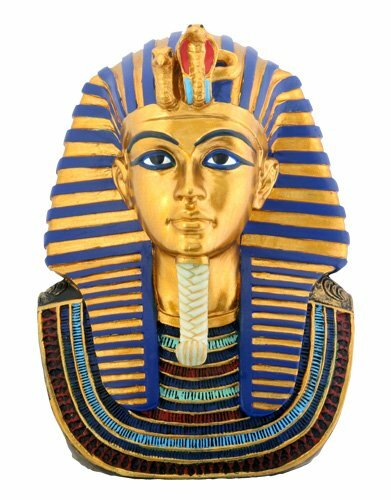 This gorgeous 18.75 Inch Egyptian King Tut Head and Bust Resin Statue Figurine has the finest details and highest quality you will find anywhere! 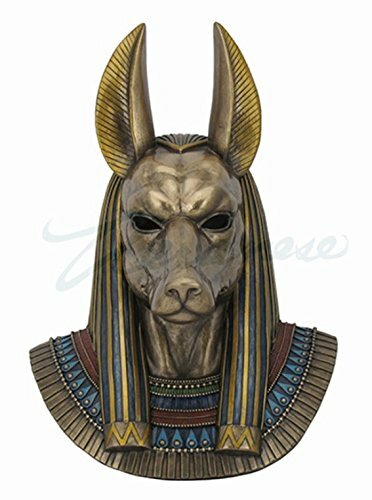 18.75 Inch Egyptian King Tut Head and Bust Resin Statue Figurine is truly remarkable.18.75 Inch Egyptian King Tut Head and Bust Resin Statue Figurine Details:*Condition: Brand New*Item SKU: 9249*Dimensions: H: 18.75 (Inches)*Crafted with: Resin*More Information: - Hand Painted. This Extremely Detailed and Well-Made wall plaque is made with cold cast bronze, The process mixes actual bronze powder in cold cast resin to ensure a richer and more life-like presentation. MIRACLE in Egypt - King Tut statue SPEAKS!! Watch the uncreating and installation of King Tut's magnificent Guardian Statue at the California Science Center. For 3,000 years he guarded the boy king's tomb. Now you can see him watching over 150 priceless artifacts in Los Angeles through March 2019. A brief video highlighting a statue of Tutankhamun, at the Oriental Institute in Chicago. It is the tallest Egyptian statue in the Western Hemisphere and one of the highlights of the Egyptian gallery at the O.I. 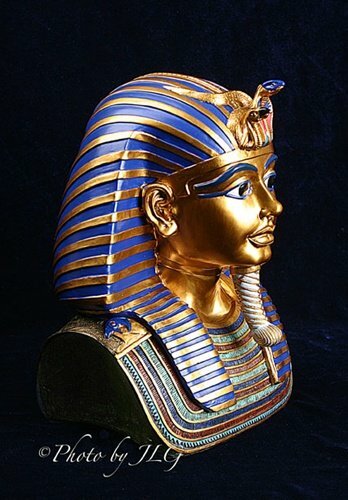 Compare prices on Statue Of King Tut at ShoppinGent.com – use promo codes and coupons for best offers and deals. Start smart buying with ShoppinGent.com right now and choose your golden price on every purchase.